My interest in the history of my hometown area ties into the genealogy work. I have a 20 page writeup on "The Early History of Corydon and Wayne County, Iowa" which collects the popular histories and compares their descriptions with some facts gathered from primary sources. I would like to discuss this with anyone who has an interest in that area, or who can comment on which things you can believe in the histories of other midwest counties. 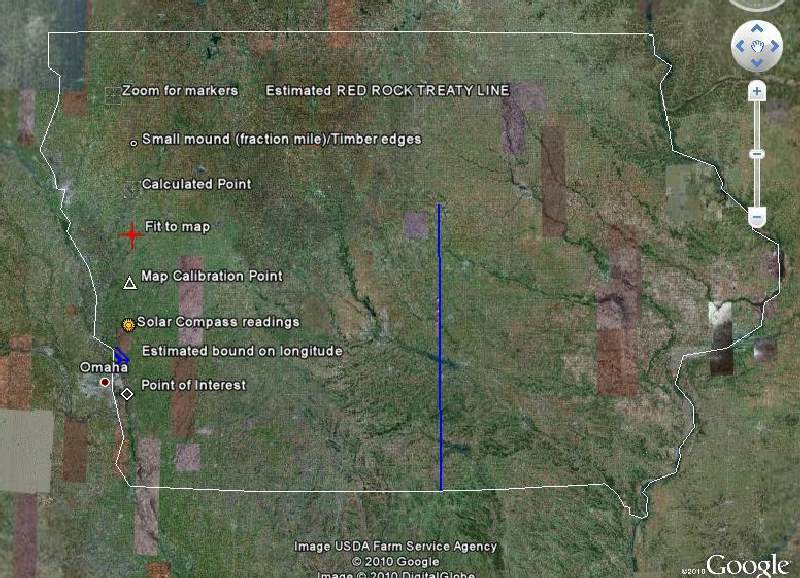 I have been curious about the Red Rock Line (White Breast Boundary) which marked the boundary of a treaty with the Sauk (Sac) and Mesquaki (Fox) in 1843. The southern end of the line passes about six miles from where I grew up in Wayne County, Iowa. 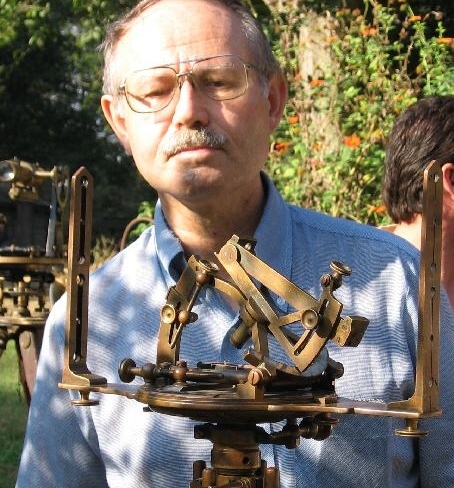 It was surveyed with the aid of a Burt Solar Compass, which has always fascinated me (photo below).